Breakfast is considered the most important meal to help jumpstart the day right. Yet, so many took for granted the importance of breakfast especially those who are always on the go and body conscious people who keeps believing in myths that skipping breakfast is another proven way to maintain slim and fit figure. Breakfasts don’t need to be heavy, it just need to be healthy and balanced in order to achieve your wellness goal that won’t affect your ideal weight. Skipping breakfast might be an effective way to keep that perfect figure but it can also wreak havoc to your health in the long run. Another problem with skipping your breakfast is the tendency to feel intense hunger in the mid morning that will make you starve and crave for food which leads to unhealthy snacking and most likely overeating to dose off that extreme hunger. Why do you really have to suffer these butterflies in your stomach when you can stuff your tummy with healthy breakfast that won’t affect your weight management? Health-conscious earthlings, it’s about time to change your view about breakfast. 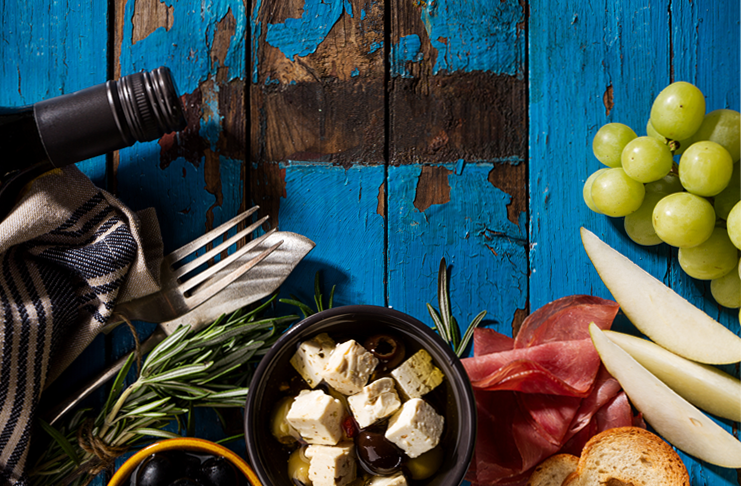 We feature in this article the best and ideal breakfast recipes that won’t affect your weight. They are very simple and affordable that won’t kill your budget. Apart from that, these recipes are also very nutritious and fast to prepare so people on the go can’t find any excuse to skip breakfast anymore. These are nutritious morning meals you can nibble while racing out the door, driving your car or walking. So, start noting your calendar with the following breakfast recipes to invigorate and kickstart your day to day the healthy and quick way. 1. Fruits and Cheese Duo. This one is a very easy-to-prepare and balanced breakfast. All you need is 1 or 2 pieces of apples cut into thin slices and a couple ounces of cheddar cheese. You can also add ½ cup of protein and fiber-rich walnuts and put them all together in a resealable plastic container or bag. 2. 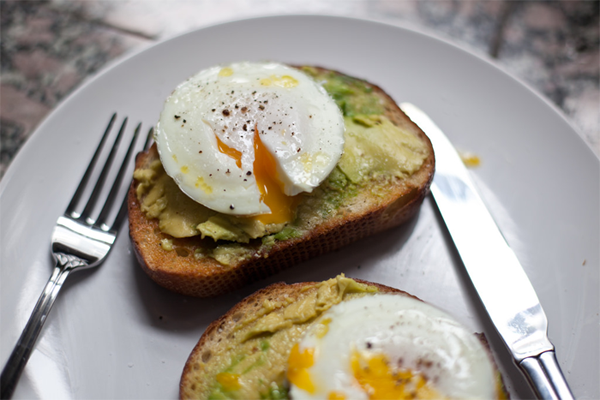 Avocado Toast Top with Egg. Simplicity is not only a thing of beauty it’s also another aspect of staying healthy. Like in this easy-to-assemble breakfast recipe. Prepare 2 slices of whole-grain sliced bread and toast lightly. In each separate slice, spread mashed avocado and sprinkle a little salt and pepper to taste for a flavorful and rich base. Then top each slice of bread with sunny-side-up eggs for a nutritious dose of protein. 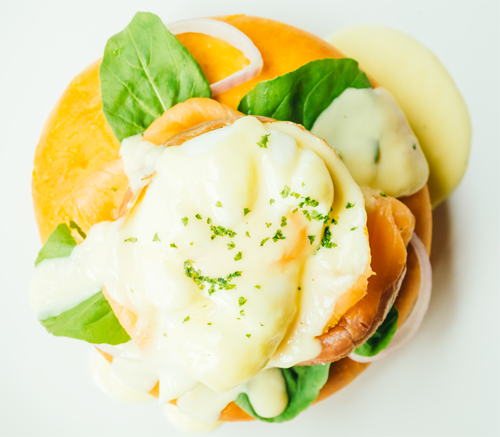 Now you have a well-rounded morning meal. Stack them in a clean and dry food container for easy transport. Take your ordinary oatmeal to a whole new height by turning it tasty and savory. Prepare oats mixture as usual with milk or hot oil but instead of adding sugar or cinnamon, give a twist of savory taste by sprinkling a hint of salt and pepper and top with poached or over-easy cook egg then add a little amount of cheese for that extra yumminess. 4. Cheese and Egg Mix. Sunny-side-up or fried egg is the most preferred and great way of cooking an egg. Yet, how about baking a whole egg with cheese and veggies mix idea while skipping the fatty oil? Put the mixture in the cup. For on-the-go meals, make use of individual silicone molds to make it even more portable. 5. Oats and Berries Microwave Muffin. 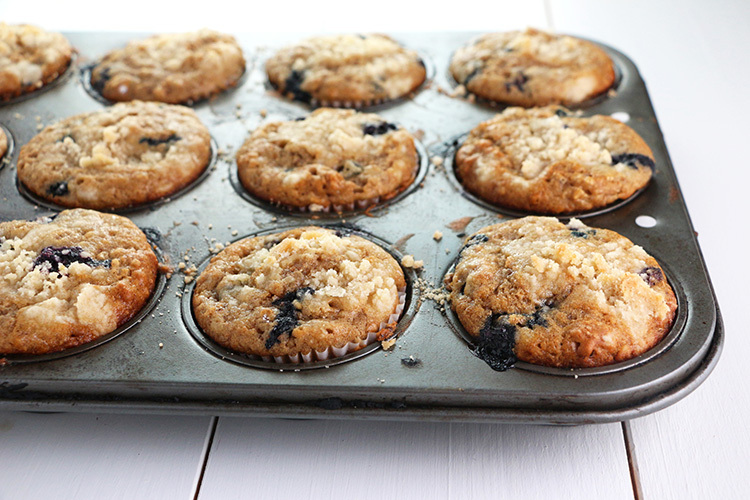 Just when you thought muffins from the microwave is impossible, think again. You can actually do this healthy breakfast trick by mixing ¼ cup of instant oats, a handful of berries, brown sugar and 1 egg in a mug. Mix and combine all ingredients until evenly done. Put in the microwave for 1 minute in high temperature. After 1 minute, check if the muffin is firm and tender already. If it’s still not in its desirable firmness then continue cooking for half a minute at a time until the muffin gets firm and ready to eat. 6. Waffle with a Twist. 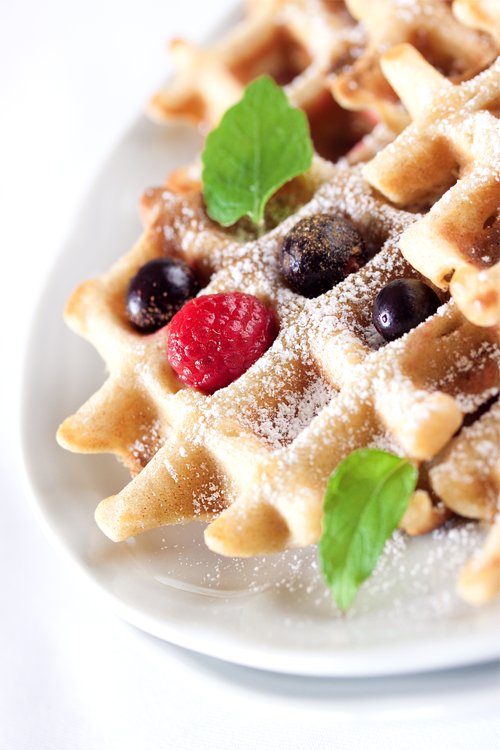 Bored of your ordinary bran or whole-grain toaster waffle top with syrup? Why not boost fiber and protein while cutting the sugar by replacing syrup with peanut butter. Spread 2 tablespoons of peanut butter on your waffle to make the twist and add a sprinkle of sesame seeds and raisins about 1 tablespoon and you can also top an extra peanut if you desire for a more delicious and nutritious twist on your morning meal. This is probably one of the easiest ways to prepare an egg recipe for breakfast that is also less the carbohydrates. You only need 10 whole eggs beaten, ¼ cup chopped cooked ham or bacon, ¼ cup chopped onions, ½ of a bell pepper chopped, 1 shredded zucchini, 3 handfuls of spinach and salt and pepper to taste. Combine all ingredients and evenly divide the mixture in a lightly-greased muffin tin. Bake at 350F for about 20-25 minutes. If you want a diversion from bakery muffin, then some plain cake-style donuts will do best for you. To make it more delicious have ¼ cup of dried fruits or almond on the side. And instead of matching it with a cup of coffee, why not settle for a glass of low-fat choco milk. 9. Banana & Peanut Butter Smoothie. Sometimes we opt to choose for a lighter and easy on the tummy breakfast like fruit shakes and smoothies. To satisfy this craving, a choice of banana and peanut butter smoothie is one of the tasty smoothies you can easily prepare. Using a power blender, just blend 2 tablespoons natural peanut butter, 1 frozen banana, 1 cup almond or soy milk and a few ice cubes enough to make the smoothie. Now, you have a perfect smoothie ideal also for on-the-go snacking. 10. Classic Yogurt & Fruit Parfait. Apart from fruit shakes and smoothies, you also have parfait for a light and easy, yet healthy breakfast. The easiest to prepare, yet full to the taste is the classic yogurt and fruit parfait. And the best part of all is that you can top it with any toppings like nutritious fruits, locally seasonal or non-seasonal both perfect and taste great with a parfait depending on your preferred taste.